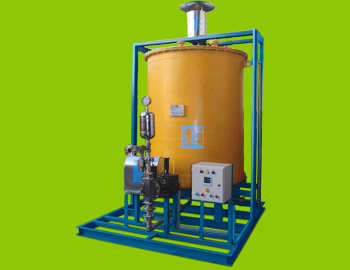 Skid mounted dosing systems are extensively demanded in chemical processing and petrochemical industries. These are known for their ambient design and hassle free performance. It is checked for quality in compliance with various pre-set norms international norms and standards. 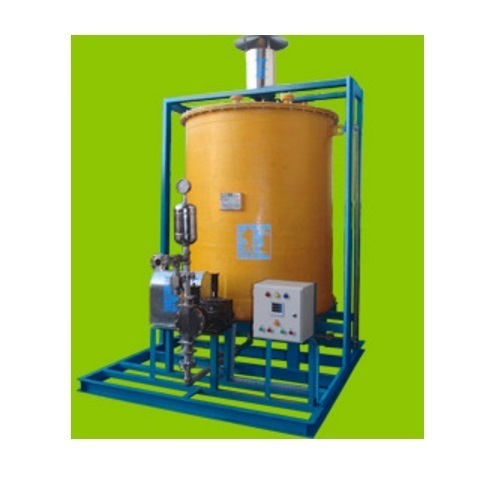 These skid mounted dosing systems consumes less electricity as compared to other conventional sources. These Skid Mounted Dosing Systems are designed with precision by using advance technology. Aluminium dosing system is a new age dosing system which is extensively demanded in different industries for mixing of different chemicals. It is available in different specifications, sizes and models according to the demands of our valuable clients. This aluminium dosing system is widely demanded for industrial and process application and designed by using sharp edge technology. It is made by using superior quality aluminium which is corrosion resistant in nature and provide strong built to aluminium dosing system. It is checked under various set quality parameters in compliance with set international norms. 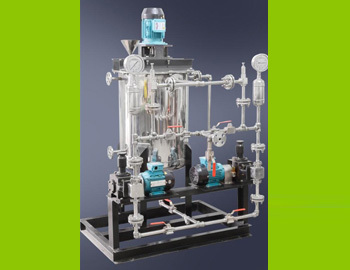 Boiler chemical dosing system has precisely designed single or multiple chemical dosing pumps, solution preparation single or compartment tank, valves, stirrer (agitator), interconnecting piping and fittings. It is also equipped with various instruments such as level gauges, pressure gauges, PRV sensors, level switches and VFD. Our boiler chemical dosing system is designed by our professionals with perfection to ensure low operating cost and efficient performance. Designed to perfection, this boiler chemical dosing system ensures efficient performance at low operating cost. 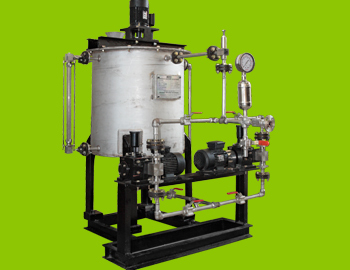 Further, our customers can avail this boiler chemical dosing system from us at economical price.